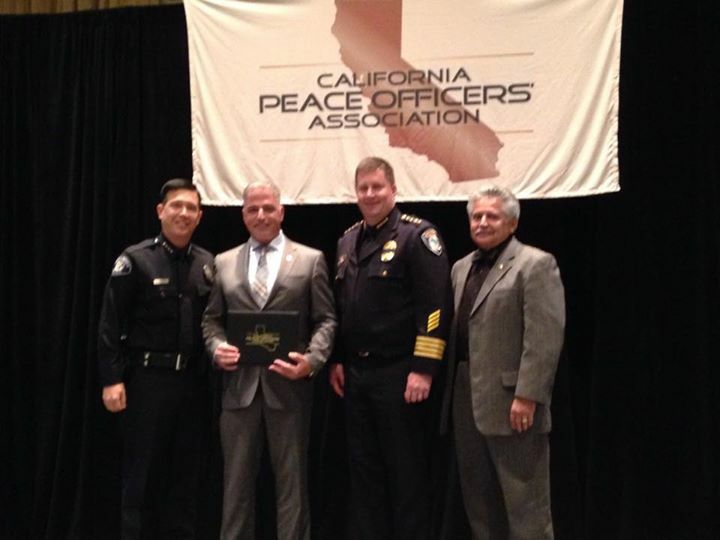 RANCHO CUCAMONGA, Calif., (October 30, 2014) - Adel Sayegh, founder and CEO of USS, has received an official recognition from California Peace Officers Association for his efforts to improve the safety of police officers. Sayegh worked with USS R&D team to develop a special vest for police dogs that combines wireless video and GPS systems. In search and rescue operations, as well as when tracking down suspects, the wireless system allows police officers to view on their smartphones what the dog sees, and to follow the dog’s movements via GPS. Sayegh received his recognition at the annual awards ceremony of the California Peace Officers Association, in front of over 2,000 representatives of state and local law enforcement agencies. As many departments around the country are facing the prospects of having to give up their bite dogs due to potential lawsuits coming from pursued suspects, the new wireless video and GPS system promises to address that problem by offering video and GPS records of pursuits.